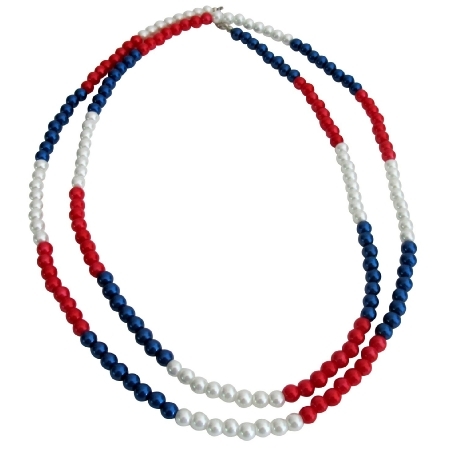 Designed adorable Patriotic Theme Long Necklace to celebrate USA Independence Day July 4th. A perfect necklace for all the USA celebration this Summer. Stunning long Necklace 40 inches can wear one or two strands in red blue white pearls & it is at discounted reasonable price for our country's day celebration. Perfect for Independence Day Memorial Day Labor Day or any occasion where you want to show your support for the USA.